Saturday’s soapbox is yours to use as you will – within the bounds of decency and absence of defamation. You’re welcome to look back or forward, discuss issues of the moment, to pontificate, ponder or point us to something of interest, to educate, elucidate or entertain, amuse, bemuse or simply muse, but not abuse. 106 BC Cicero, Roman statesman and philosopher, was born (d. 43 BC). 1431 Joan of Arc was handed over to the Bishop Pierre Cauchon. 1496 Leonardo da Vinci unsuccessfully tested a flying machine. 1521 – Pope Leo X excommunicated Martin Luther in the papal bull Decet Romanum Pontificem. 1793 Lucretia Mott, American women’s rights activist, was born (d. 1880). 1823 Stephen F. Austin received a grant of land in Texas from the government of Mexico. 1831 Savitribai Phule, social activist, first female teacher in India, and first female poet in Marathi language, was born (d. 1897). 1840 Surveyors arrived in Port Nicholson to lay out plans for the proposed New Zealand Company settlement of Britannia at Pito-one (Petone). When this original site proved unsuitable, the decision was made to relocate across the harbour in a settlement they called Wellington. 1848 – Joseph Jenkins Roberts was sworn in as the first president of the independent African Republic of Liberia. 1870 Construction of the Brooklyn Bridge began. 1883 Clement Attlee, Prime Minister of the United Kingdom, was born (d. 1967). 1887 Helen Parkhurst, American educator, was born (d. 1973). 1888 The refracting telescope at the Lick Observatory, measuring 91 cm in diameter, was used for the first time. It was the largest telescope in the world at the time. 1892 J. R. R. Tolkien, British writer, was born (d. 1973). 1899 – The first known use of the word automobile, was seen in an editorial in The New York Times. 1909 Victor Borge, Danish entertainer, was born (d. 2000). 1916 Maxene Andrews, American singer (The Andrews Sisters), was born (d. 1995). 1922 Bill Travers, British actor and director, was born (d. 1994). 1923 Charles Tingwell, Australian actor, was born (d. 2009). 1924 British explorer Howard Carter discovered the sarcophagus of Tutankhamen in the Valley of the Kings, near Luxor, Egypt. 1930 – The first New Zealand-made talkie , Coubray-tone News, the work of the inventive Ted Coubray, had its first public screening at Auckland’s Plaza Theatre. 1933 Minnie D. Craig became the first female elected as Speaker of the North Dakota House of Representatives, the first female to hold a Speaker position anywhere in the United States. 1942 John Thaw, British actor, was born (d. 2002). 1945 Stephen Stills, American musician (Crosby, Stills, Nash & Young) was born. 1946 John Paul Jones, British musician (Led Zeppelin), was born. 1950 Victoria Principal, American actress, was born. 1953 Frances Bolton and her son, Oliver from Ohio, became the first mother and son to serve simultaneously in the U.S. Congress. 1956 A fire damaged the top part of the Eiffel Tower. 1956 Mel Gibson, Australian actor and director, was born. 1957 The Hamilton Watch Company introduces the first electric watch. 1958 The West Indies Federation was formed. 1961 The United States severed diplomatic relations with Cuba. 1962 Pope John XXIII excommunicated Fidel Castro. 1977 Apple Computer was incorporated. 1988 Margaret Thatcher became the longest-serving British Prime Minister in the 20th Century. 1990 Former leader of Panama Manuel Noriega surrendered to American forces. 1993 George H. W. Bush and Boris Yeltsin signed the second Strategic Arms Reduction Treaty (START). 1994 – More than seven million people from the former Apartheid Homelands, received South African citizenship. 1999 The Mars Polar Lander was launched. 2004 – Flight 604, a Boeing 737 owned by Flash Airlines, an Egyptian airliner, plunged into the Red Sea, killing all 148 people on board. 2007 – National Express had its worst coach crash just outside Heathrow Airport. 2009 – The first block of the blockchain of the decentralized payment system Bitcoin, called the Genesis block, was established by the creator of the system, Satoshi Nakamoto. 2015 – Boko Haram militants razed the entire town of Baga in north-east Nigeria, killing up to as many as 2,000 people. Humour is something that thrives between man’s aspirations and his limitations. There is more logic in humour than in anything else. Because, you see, humour is truth. 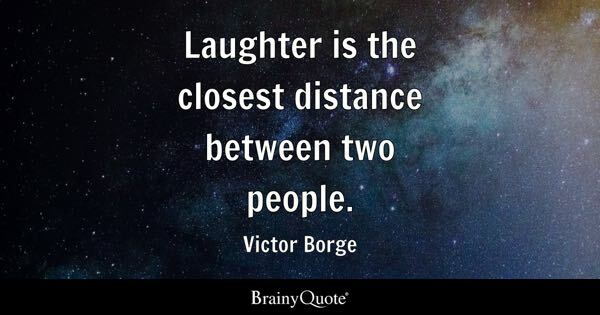 – Victor Borge who was born on this day in 1909. 1994 – More than seven million people from the former ApartheidHomelands, received South African citizenship.